They are at the front line of the battle on terror with jobs ranging from sniffing out explosives to dispersing enemy formations. Called the "Oketz" unit ("Sting" unit) by the IDF troops, The K9 unit with its meticulously trained dogs is one of the most valiant units of the IDF. Taking on missions that no man bare take, many Israelis owe their lives to these fearless German Sheppards. 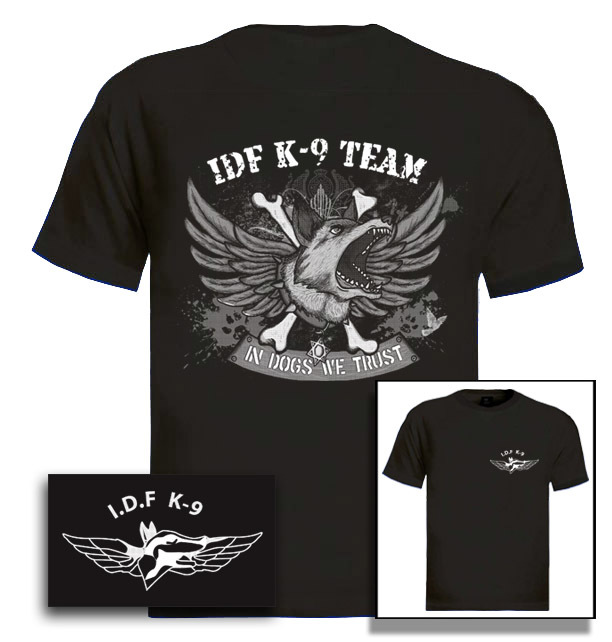 Get your K9 team T-shirt today! Our t-shirts are made of 100% cotton and are long lasting with bright colors. Our products are all designed and printed in Israel.